What games have been played and won on the most in the last month? Casumo casino kindly shares the numbers, and we share them with you. Every month Casumo mobile casino like to release their biggest wins and the slot machines that made them happen. Because if there’s ever anything we love more than anything it’s finding inspiration for what to play. And what inspires most than the kind of favourite slot games of players who have won again and again? We take a look at each of the different casino games, whether you get good odds of winnings or if it’s just a fluke. 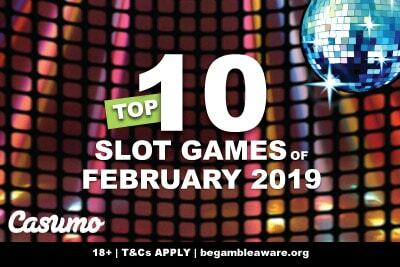 What are the top 10 most played slots of Feb 2019? We should point out that these are not just the popular games played at Casumo casino, but also the top 10 big win slots with wins of 2,000x your bet or more. Some of these will be familiar to those of you who have read some of our past posts, and the top two games are no surprise… but some of these will certainly surprise you, and may tempt you to play. 1. Book of Dead wins with 78 big wins! The Book of Dead from Play’n GO wins again, and it’s no surprise, with a top win of 5,000 times your bet on a single spin. With a minimum bet of 0.10 a spin, up to 100, this allows all players from all walks of life to make a gamble. It only has 10 spins, and the scatter both triggers the bonus feature and is a wild. In short, it’s a simple volatile game that has become one of the most popular mobile slots online for 5,000 very good reasons. Again, no surprise here. Although we are curious to see if the upcoming Dead or Alive 2 slot game may take away some shine away from the old original. The first Dead or Alive has only 9 paylines and 5 reels, with wilds and scatters. The whole point is to get to the free spins which come with a 2x multiplier and sticky wilds. The problem is in the title: you’ll walk out of this NetEnt slot game either Dead or Alive. Nothing in between. This Dragon’s Fire game was only released in the last 6 months, and we loved it the moment it’s fiery breath touched our mobile phone Android screens. Again, it’s volatile, but you probably won’t find a casino game on this list that isn’t. You get 40 paylines and a top win of 10,000 times your bet thanks to huge multipliers on every win. In February, this game claims one of the top 10 biggest slots win: £3,201.88 won on a £0.40 spin – that’s 8,004 times the players bet in case you didn’t want to do the math. Another hidden favourite, and another one we tried to get people to notice but didn’t get the attention it deserved. The Danger High Voltage video slot has that iconic tune rocking the reels, 4096 ways to win, tacos, glitzy gems and huge multipliers in the free spins. It’s a little mad, and you have to feel a little crazy to play, but it’s well worth your while if you’re after a little danger. We are going to admit that we didn’t love Jammin’ Jars online slot when it first came out. It took a few rounds for us to understand why it’s become one of the most played slot games by Push Gaming. One guy even won 11,524 times his bet when he bet 0.60 a spin and walked away with €6,914.76 win. That’s huge! And, again, it all happened in that crazy month of February. We suspect that this is one casino game we will be seeing on the top big win slots month after month. 300 Shields by NextGen Gaming is not an easy game to love. Of all the games on the list, it’s the one that the most difficult because the wins come so rarely. When you hit the free spins it can feel like war; bloody, full of guts and 4 levels of glory with a 300x multipliers that will have your blood pumping. You’ll get rich, or die trying. The maximum win from a single game is 250,000 in cash or 50,000 times your bet. If that doesn’t impress you… well this Primal Megaways won’t either. This is actually fun enough, with 46,656 ways to win and a quirky prehistoric theme full of mammoths and giant mammals. But it can be a little frustrating so only players with a little experience should attempt to spin. Skip back up to the top 3 for something a little simpler and easier of the wallet. 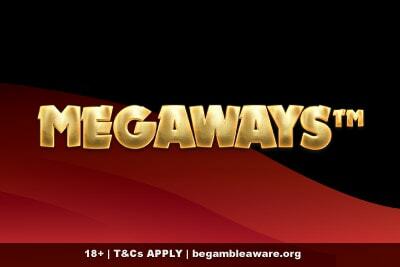 Much like it’s sister above, this is a Megaways slot but increases from 64 to 15,625 win ways. So that makes it a little easier to play, especially when you have 4 bonus free spins feature to enjoy. 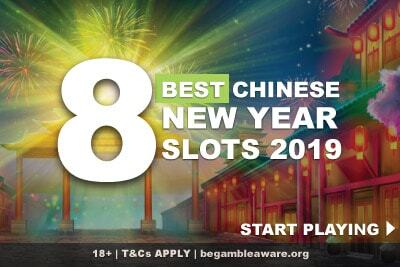 Again, it’s not on the top of our favourite mobile slots to play, but with some big wins, you can understand why it was one of the popular games with huge wins this February 2019. Oh, and did we mention you can win up to 10,000 times your bet in this Genie Jackpots slot game? Yeap. There’s a reason why it’s on the list. It’s not that we don’t like this game. We really do. The Ninja Ways game got 4096 Ways to Win, 6 reels and 4 rows full of ancient Chinese symbols. We didn’t expect it because having only been released in January of 2019, this Red Tiger Game slot game hasn’t had that much time to make an impact. But it clearly did, coming in 9th on the biggest wins made in February; one of which was €3,128.32 on a 0.40 spin. Not a bad amount to walk away with. This seems like an apt slot game to end on, considering that it’s basically an almost identical game to our number one Book of Dead. 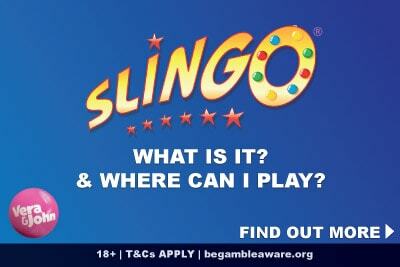 You’ve got 5 reels, 10 paylines, wilds scatters and expanding scatter symbols during the free spins. The only difference, is the theme. The Magic Mirror Deluxe 2 online slot has a classic fairytale spin, which isn’t that great, but who cares when the wins are this good? So there you have it, our top 10 most popular big win slots of the last month. Which new slot games will pop up on the list next month? Will you have one of the big wins at Casumo that we’ll mention next time? Keep an eye out here at LuckyMobileSlots.com where we bring you all the latest news about the best new slot games and those worth spending your money by writing fair and unbiased slot reviews. Or try your luck Casumo casino, with its innovative games, tournaments and generous welcome bonuses. You can find out more in our Casumo mobile casino review.